Modern Art Oxford presents a solo exhibition of works by renowned Lebanese artist Akram Zaatari (b. 1966, Saida, Lebanon). This thought-provoking show explores Zaatari’s on-going fascination with how people choose to present themselves to the outside world. 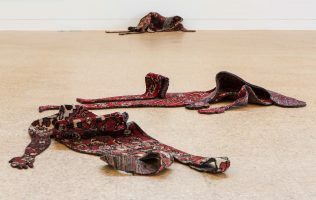 The exhibition includes a major new video work, The Script (2018), which is born out of the artist’s research into online content connected with the Arab world. 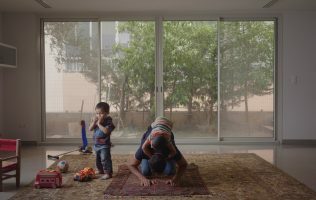 Exploring YouTube using relatively neutral search terms such as ‘father and son’, Zaatari discovered multiple films depicting fathers praying. Despite being produced by different men from different regions in the Middle East, Zaatari observed telling similarities in content which depicted men fulfilling the duty of salah – the ritual of five daily prayers undertaken by practicing Muslims – within a domestic setting. As breaking off from prayer is often frowned upon, the fathers continue praying despite their children’s mischievous attempts to distract them. 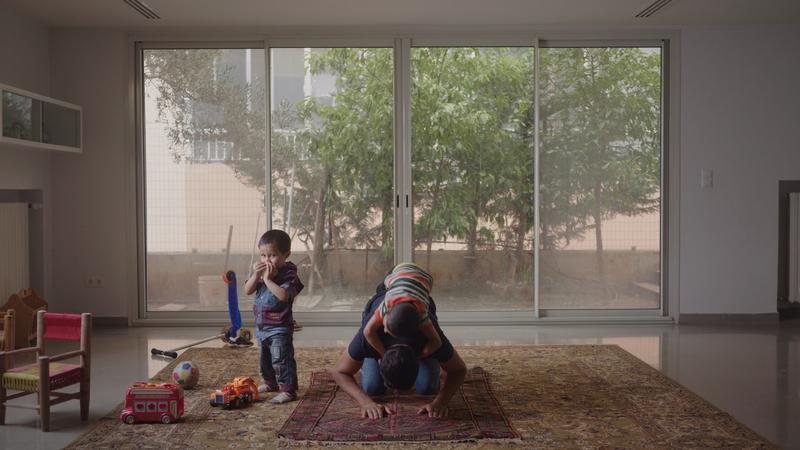 In The Script, Zaatari presents a filmed re-enactment of these touching moments, paying homage to dual commitment to faith and fatherhood. Such tender scenes of domestic life are rarely seen in the Western media’s representation of the Arab world, prompting us to consider whether the men who created these original films may be deliberately attempting to redress the negative view of Islam that has prevailed in recent times. Also included is the video installation Dance to the End of Love (2011), which explores Arab male identity through a montage of clips uploaded to YouTube by men in Libya, Yemen, Palestine, Egypt, Saudi Arabia and UAE. Showing content similarities across generations and borders, Zaatari’s montage depicts young men behaving in ways that exaggerate their masculinity. They flex muscles, perform perilous car stunts and fire guns flippantly. In contrast, the work also includes moving demonstrations of male friendships. In selecting this content, Zaatari prompts us to consider the collective of imagination of young Arab men. Also on show is a photo-transfer installation devised onsite at Modern Art Oxford by Zaatari that extends his on-going Studio Practices series: an archive of photographs documenting the local people of the artist’s hometown of Saida. These photographs were taken by Hashem el Madani at his popular commercial photography studio, Studio Shehrazade, between the 1950s and 1970s when few households had their own camera. As with other exhibited works, the sitters have chosen to construct an image, using poses and props, which offer a fascinating insight into their aspirations and the societal norms of their time. They also remind us that although methods of self-representation may have moved on dramatically from photographic studio portraits to selfies and YouTube clips, the human desire to manufacture one’s own image transcends borders, faiths and generations. 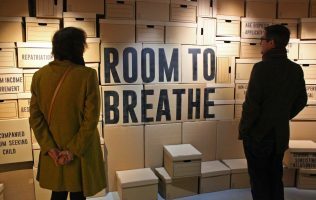 The Script by Akram Zaatari is a touring exhibition by New Art Exchange, Nottingham, in partnership with Turner Contemporary and Modern Art Oxford. Supported by Thomas Dane Gallery, and Arts Council England. Curated by Melanie Kidd.